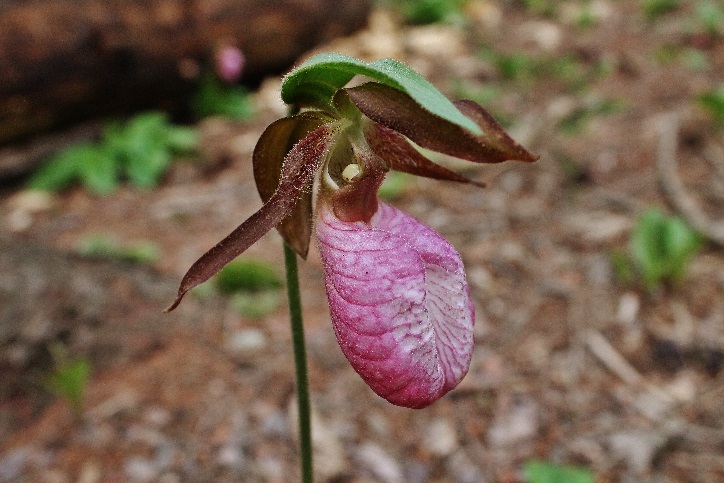 Eli, a three year alumni of the Brookies and Ursids field schools and Monthly Blog Correspondent writes this week’s blog post, sharing his annual tradition of visiting Michaux State Forest to photograph some lovely botanical specimens. Read on to see his photos and read all about these little beauties! Of all the wildflowers that grace Penn’s Woods in the spring of the year, few can top the utter beauty of those in the orchid family. More specifically, the yellow and pink lady slippers. 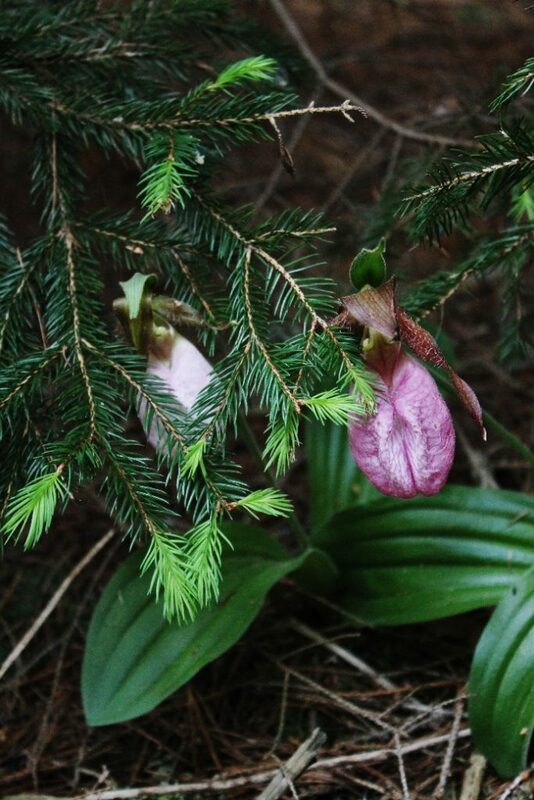 While I have been lucky enough to have encountered both of these wonderful plants on my spring excursions in the woods, I have developed a particular fondness for the pink lady slipper. Every May, I take a “pilgrimage” to a patch of them about 30 minutes from my home in the Michaux State Forest to photograph and revel in their beauty. 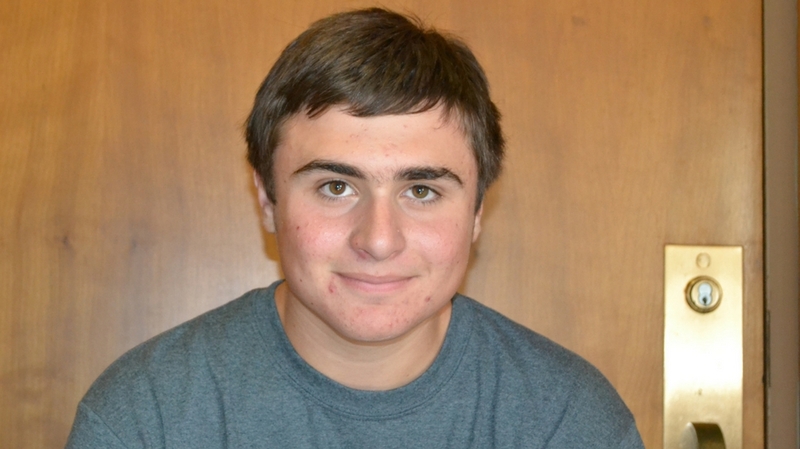 The patch that I visit is in a section of the Michaux consisting primarily of spruce and white pine trees. As I become immersed in the towering conifers, the sound of a red-breasted nuthatch rings out, making it feel as though I’m walking through the North Woods. My anticipation building, I wind through a final patch of barberry to a clearing. Now as many times as I have made this very same springtime journey, it never fails to take my breath away as I step into that clearing. It is as though the forest floor has been dotted with pink jewels and I’m the first one to discover them. As I wade through the sea of lady slippers, trying not to step on them, I can’t help but to kneel down to their level and observe them. Their petals so soft; their flowers so perfect. Nothing but beautiful perfection surrounds the visitor who tread upon this place. As I snap to from my near trance, I take a few photographs. 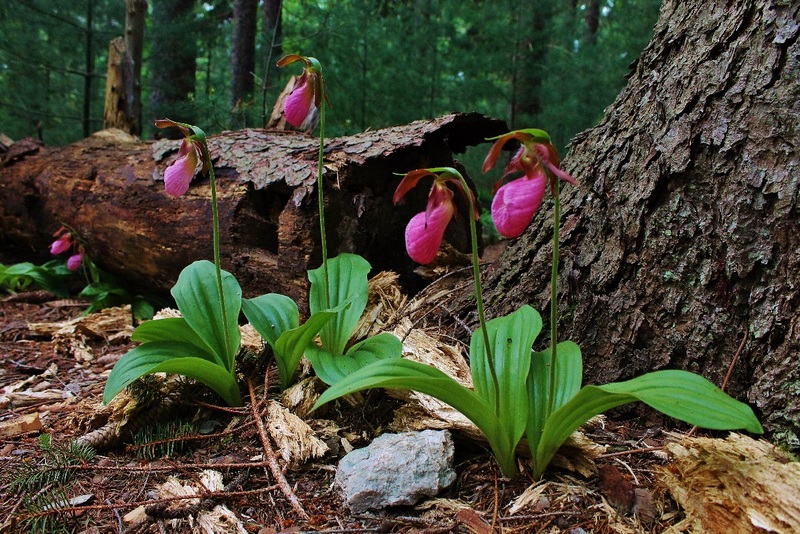 First, I photographed these lady slippers by a fallen log. As I take the shot, I reflect on how even in death, the log is a source of new life. In this case, the decomposing log is proving nutrients for the lady slippers. 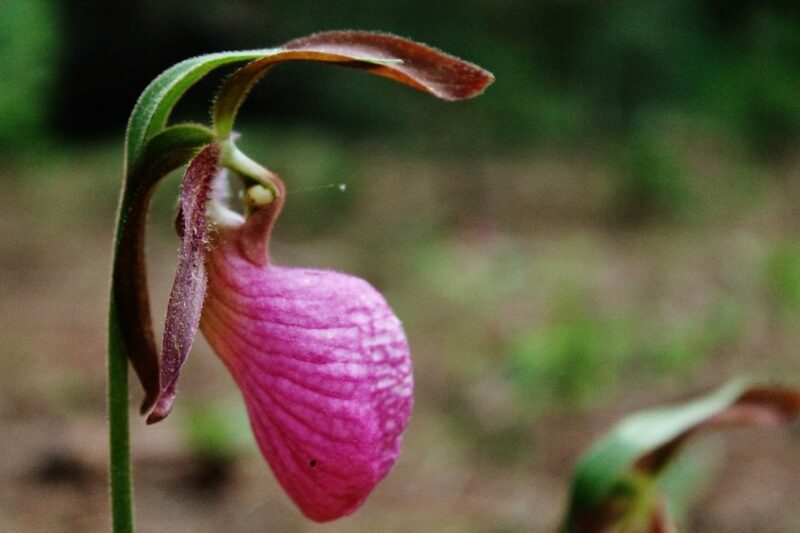 Just as when the lady slippers die, they will provide the nourishment for whatever comes after them. From death, new life. From dust they are and to dust they shall return. 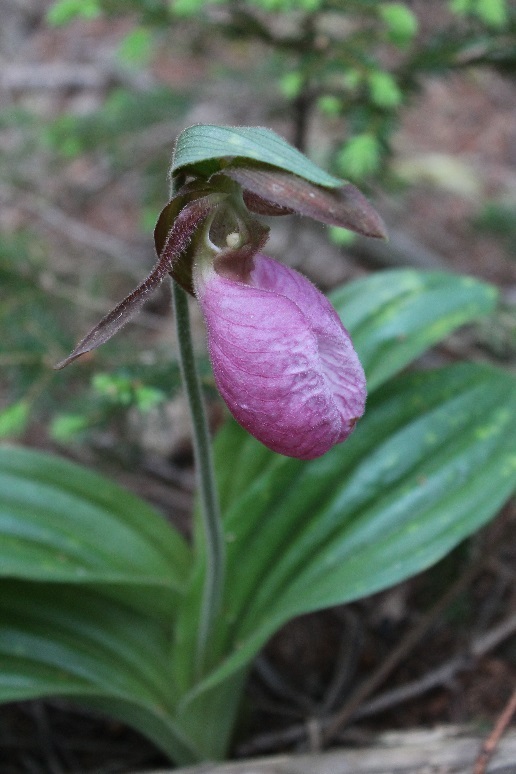 Moving through the patch, I take a closer look at the details of the lady slipper. Their color is absolutely outstanding, and they trap the eye in a seemingly endless world of detail. The flower, the pinnacle of their beauty, seems soft as velvet. Such texture is inviting to touch, but such rarity is not to be disturbed. Beauty is everywhere in this forest, no matter what angle. Toward the end of my time with the lady slippers, I came across these two flowers. Struggling for light, they are trying hard to escape the shadow cast by the spruce.